"The manner in which one endures what must be endured is more important than the thing that must be endured"
If you would like to join the Old Wymondhamians Database please click here: http://www.wymondhamcollege.org/supportus-oldwymondhamians which will take you through to the OW section of the Wymondham College website. There is a link half way down to the Database Update where you can fill in all your details. Coincidentally both were Salisbury House inmates – albeit of different year groups! Cheques, in the sum of £55.00, have been dispatched. Steve and I were joined by Steven Bishop, Beverly Sennett [nee Millard] and her husband Richard, Sandra Howard, Neil Bishop, Jon Tolley and Kevin Emmerson. It was Kev’s second attendance at a draw – the last one being at the Dog & Partridge in East Wretham in Nov 2009!! Kev kindly carried out the draw for us. The more observant of you may remember that we visited The White Horse in May 2016!! With Timothy Taylor “Landlord” being the resident real ale, we knew it would only be a matter of time before we returned! A quick reminder - if you need to order anything from Amazon, please click on the image on the left first, the link will take you to the normal Amazon page but the Old Wymondhamians will get a small percentage of what you spend - at no extra cost to you! Would you like to buy a Wymondham College bespoke branded belt? 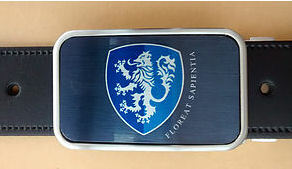 They have interchangeable buckles which can be custom made individually at no extra cost. £5 to the College for every one sold. Steve Turner has been in touch to tell us that his wife Sue sadly passed away this week after a long and courageous battle against Cancer. She will have been known to many of you as Sue Mallett and was at the College late 1960's/early 1970's. David Spinks has also told us of the passing of Pioneer student Joyce Pycroft (nee Daniels). She was one of the original group of Technical School Trial Pioneers commencing Spring Term 1951 as what was then 2nd Year Senior Tech School Students. Her brother Reggie Daniels (W Coll Grammar School) arrived in the Sept Term as a 3rd Year Student). Reggie died in March 1991 at the age of 53. Their younger brother Norman Daniels (W Coll Grammar School) arrived possibly same year as Reggie as a 2nd Year Grammar Student. For previous updates please click here. Wymondham College was given the education and social care watchdog's highest grade in all three key areas, including quality of care and support, ..
100 Club Update - OWs in 2013 - Click here for the latest news and for information on how to join. College Heritage Room Click here for more information. OW's in 2013 David Spinks has written a few words outlining our current situation and a call for new OWs to help with various functions on our Committee which can be found here. 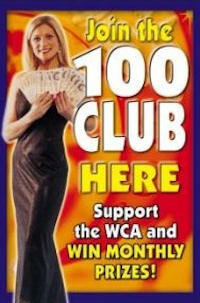 Please click on the picture on the left to see the latest OW Newsletter. The Wymondham College App has been launched and is FREE to download. The app works on Android and Apple iOS devices - tablets, desktops and phones. 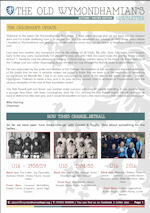 You can easily flick through pages of the latest Lion newsletter, 6th Form News and Old Wymondhamians newsletter. It is planned to add much more in the coming weeks and months. Just visit the App Store and type in Wymondham College. We would love to hear about any reunions being held, however small. Let us know beforehand if you would like to encourage people to attend or send in a report afterwards so we are kept up to date about what's happening out there! Photos always gratefully received too! 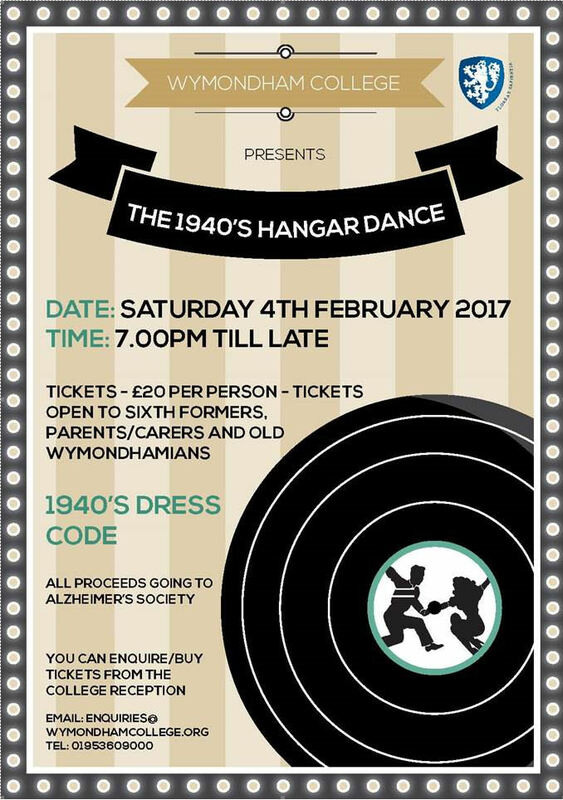 If you attended Wymondham College as a student or member of staff, your membership of the Old Wymondhamians is automatic. At last! It's no longer necessary to have full (i.e. paid) membership of Friends Reunited in order to send and reply to messages.